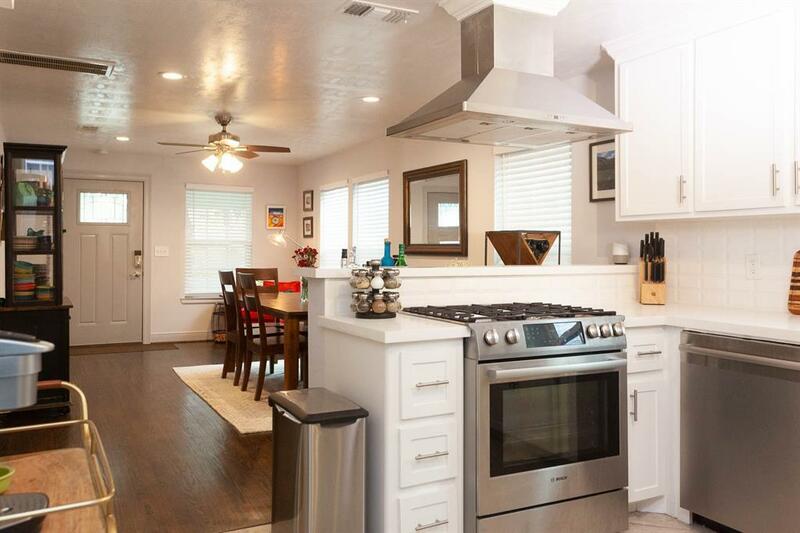 Wonderful remodeled historic heights home with additional garage apartment on separate utilities currently creating rental income for owners being relocated. This Heights home has it all-walk to local Whole Foods, new 18 acre development with San Francisco/Seattle outdoor/open market style shopping, dining, and entertainment. Modern vibe in this trendy neighborhood. Versatile and open floor plan. 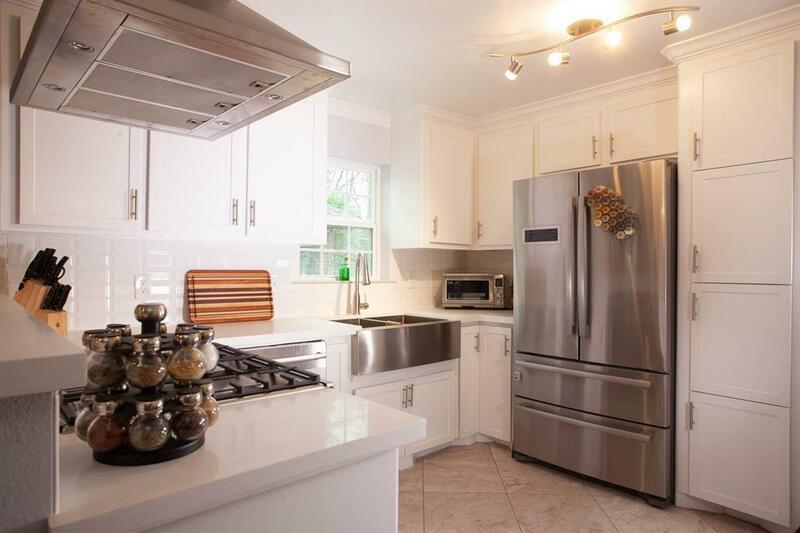 Gorgeous designer kitchen,farmhouse stainless steel sink and appliances. ALL APPLIANCES STAY+WASHER AND DRYER. Real wood flooring throughout. White quartz countertops. Spacious master suite w/attached master bath and en-suite laundry, and private entrance. 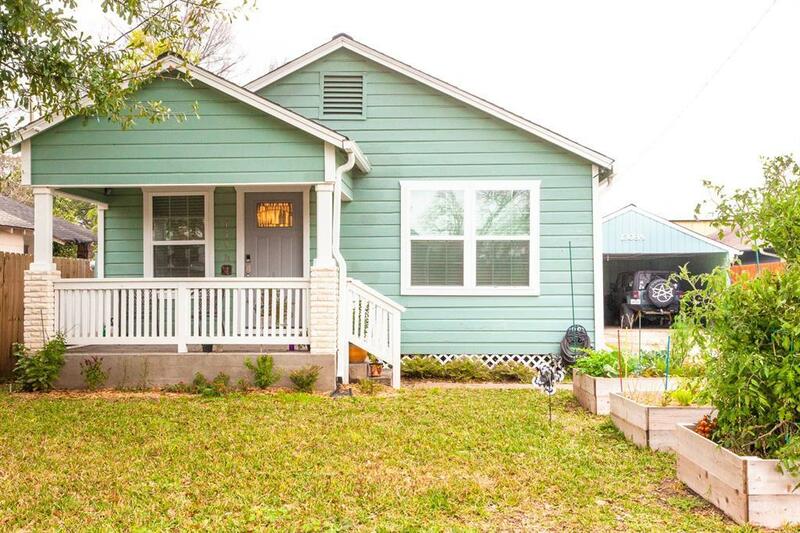 Additional living quarters or 4th BEDROOM HAS FULL KITCHENETTE, SEPARATE BEDROOM WITH CLOSET, BATHROOM & LIVING ROOM. CURRENTLY A VERY ADVANTAGEOUS BED & BREAKFAST. Month of April BnB is occupied. Please be understanding if unable to see inside BnB during your showing. QUIET STREET in Up & Coming neighborhood.